I like to carry around some sort of note pad or book with me to write down ideas, draw pictures of brainstorms, glue in magazine clippings, or just jot down things I like while I'm out and about. I have several different 'ideabooks', as I call them, scattered around the house, but I always have one in my bag (except when I take it out to remind myself of the idea and forget to return it to my bag). I usually make my own books because I either can't find the size of book I like, or the books in stores have ugly paper, and I hate it when notebooks only have lined paper in them, it makes me feel like I can't draw pictures, weird I know, don't ask. 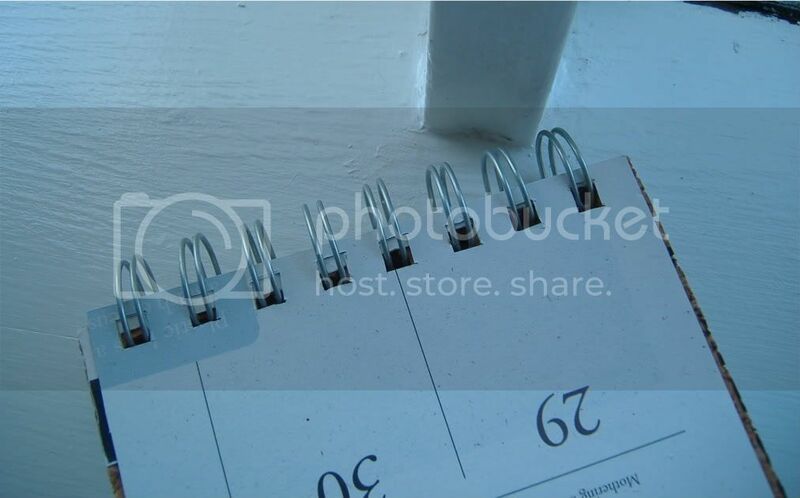 1. cut all pages to size with a paper cutter or utility knife, self healing mat, and ruler, or scissors, its up to you. 2. cut hard back cover and front cork cover the same size. 3. using the scrap cardboard as a template, I measured where I wanted my holes for the spiral spine to be, cut them out of the template (I used a utility knife to make square holes, but you could use the hole punch and save loads of time) then use the template to mark where the holes go on the inner sheets and punch away. I'd stack 4 or 5 sheets to cut at a time, depending on the thickness of your paper. 4. mark the cork and the hard back cover holes with the template, the cork and hard back cover are likely too thick for the hole punch so you could do square holes, like me, or use the punch to make a partial cut and then cut the rest with the utility knife, again up to you. 5. arrange your covers and inner papers in the order you like and bind them using the spiral spine. Bend open the spine enough for the pages to fit and start with the back cover and add pages to the spine until your book is done. 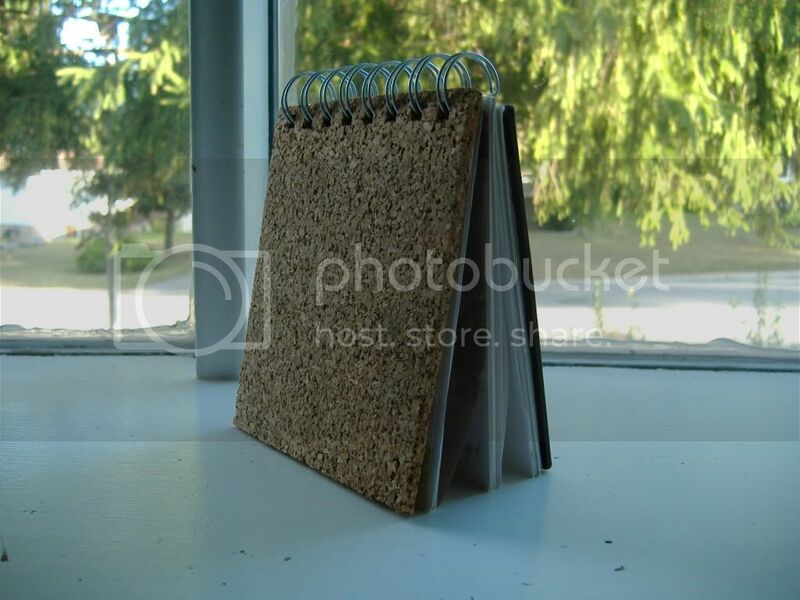 You could also use metal rings clips, or string or ribbon to bind the book, be creative! I found this very neat, so much so that i emailed it to my friends!! !please keep up the good work!! I love this idea... I'm always looking for new DIY projects. Thanks for sharing!